For use in home, business, and institutional settings with electronic environments. Non-Flammable. 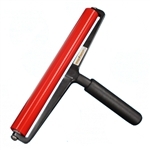 Removes unwanted dust and other particles from surfaces before printing or applying graphics laminates. Available in three tack levels.